Techie Tech is a Islamabad web design & website development company based in Islamabad. We specialize in website design, web development and digital marketing services. Address: M-15, Panama Centre, Gulshan-e-Iqbal, Block 13-D, Karachi. We are experts and experienced in Website Development and Website Designing. 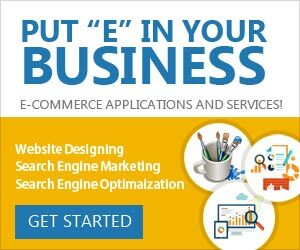 We help you to take your business online and how to manage your online reputation and presence. Address: UGF-21-22 Land Mark Plaza Jail Road, Gulberg, Lahore. I am freelancer Web Designer/Developer with skills in PHP / ASP.NET C# JAVA. I am also a Content Writer and Graphics Designer. Web Masters Eye web design agency in Lahore, Pakistan, provides web design, development from basic to advanced feature levels with Search Engine Optimization services. Address: Office # 610, 6th Floor, Siddique Trade Centre, Gulberg III, Lahore, Pakistan. Game Torque Studio is a dominant creator of free-to-play games for iOS, Android and other mobile platforms. GameTorque is aimed to developing and designing high-quality 3d games.